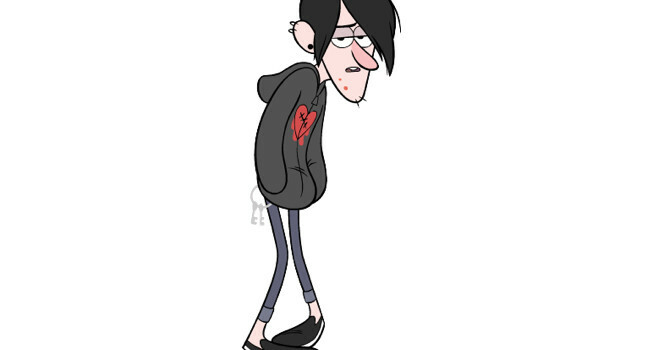 Robbie Stacey Valentino (voiced by T.J. Miller) is the moody, temperamental teenager of Gravity Falls who lives with his parents at their funeral home. He’s Wendy’s ex and the lead guitarist in his band Robbie V. and the Tombstones. Stan Pines better known as Grunkle Stan (voiced by Alex Hirsch) is Dipper and Mabel’s great-uncle who runs the Mystery Shack in Gravity Falls, Oregon. He’s a gruff con-artist who exploits tourists’ belief in the local lore to make a quick buck. 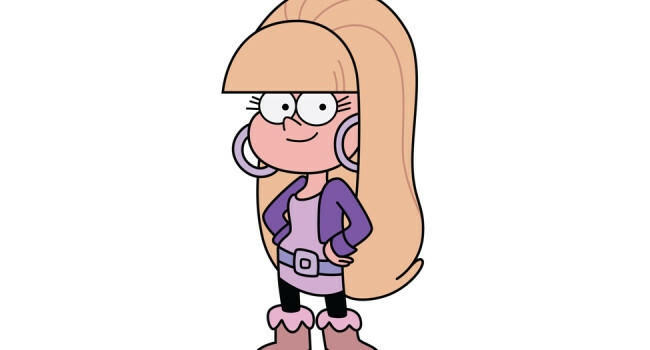 In Gravity Falls, Wendy Blerble Corduroy is a laid-back, rebellious teenager who holds a part-time job at the Mystery Shack. She’d much rather hang out with her friends Dipper and Mabel Pines though than fulfill her work duties. In Season 2 of Gravity Falls, Giffany is a sentient dating simulator program in a game called “Romance Academy 7”. She makes her appearance in the episode “Soos and the Real Girl”. Soos bought the game in order to get practice to date real girls. In Gravity Falls, Dipper Pines (voiced by Jason Ritter) is sent with his twin sister Mabel to spend summer vacation with his great-uncle. While he’s upset about being in a small boring town at first, he soon finds that many mysteries and adventures await. In Gravity Falls, Mabel Pines (voiced by Kristen Schaal) is an outgoing, energetic girl whose personality matches her extremely colorful sweaters. She spends her summer vacation at her great-uncle’s in Oregon with her twin brother Dipper.